An offline video dictionary with a variety of video examples! 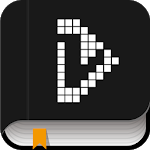 “VoiceTube Video Dictionary” is an offline dictionary app! 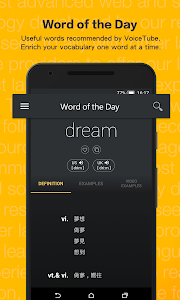 Apart from English word pronunciation and tenses, you can learn vocabulary through VoiceTube's one and only "video example" function in the VoiceTube dictionary app. 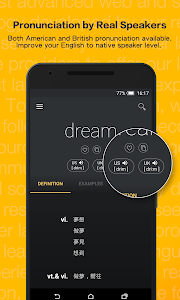 In the VoiceTube video Dictionary App, you can use different functions to learn English, including offline word search, pronunciation, word usages and video examples. 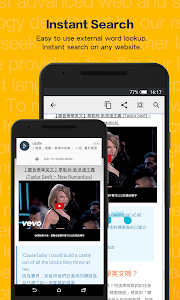 Moreover, you can go online to learn more information about the videos! 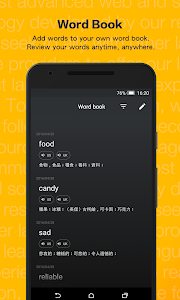 Includes an instant search function and is a useful tool for English learners to learn English with fun! 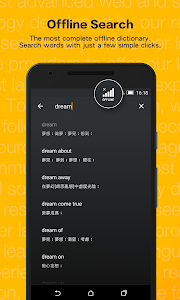 Similar to "VoiceTube Video Dictionary"